It is the desire of every parent to raise healthy, happy children. But you know, our goal for them should be to do more. It’s not enough for our children to be content with just being happy. For them to “simply” be happy implies that their emotional state depends upon external circumstances. Great weather, our favorite sports team winning a playoff game or a fun outing with friends are all things that can bring a smile to our face and make us….happy. And there is nothing wrong with that. But honestly, there are plenty of things that happen all around us that may not contribute to us having a smile on our faces all the time. There has to be something more that causes us to stop, reflect and embrace the fact that each of us has a purpose and a calling that is bigger than ourselves. As believers, it should be our desire to raise world changers. To raise leaders. 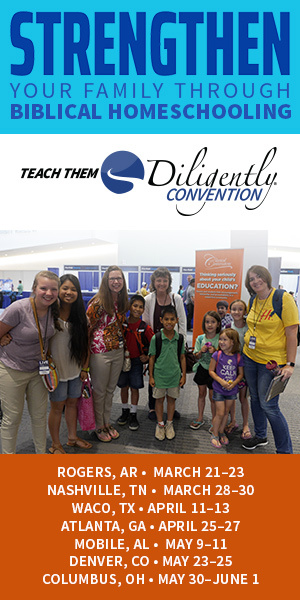 To raise Godly sons and daughters who will help to spread the Gospel of Jesus Christ across this world. The Bible says, “Train up a child in the way he should go, and when he is old he will not depart from it” (Proverbs 22:6 NKJV). As parents, we can look to the Word of God to provide us with instruction on how to do this. 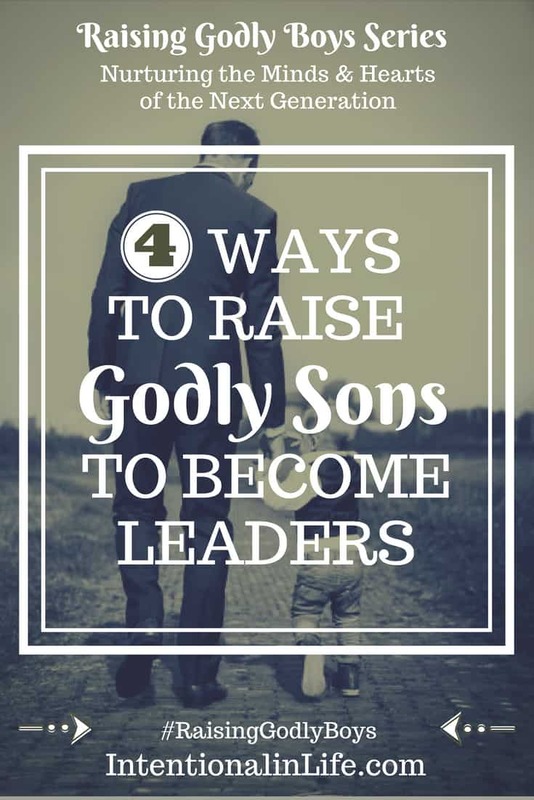 With men being the spiritual leaders of their homes, as parents, must be intentional with raising Godly sons that they will know what it means to walk in righteousness, integrity, and truth in all areas that they lead in. The best way to influence your children is to set an example before them. Many children acquire the characteristics and habits of their parents. What you walk out before your children will manifest in their lives so it is imperative that we also, stay in the Word of God as we train our children. 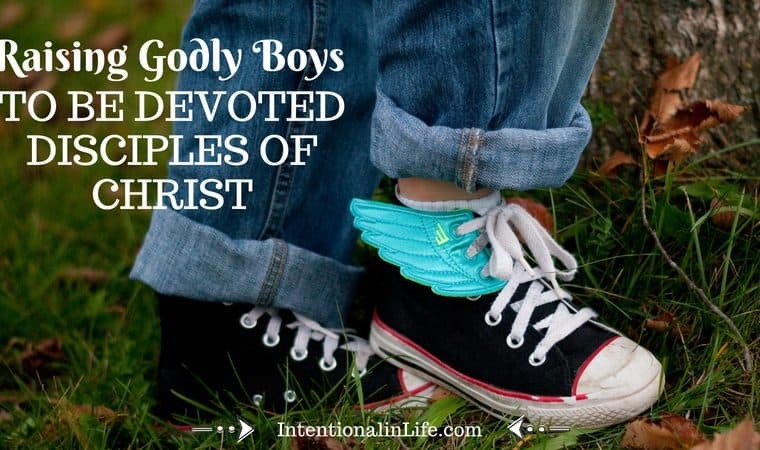 As a mother, it is important to me that my sons embrace the ways of God. After all, it is in His Word that truth is found. The Bible depicts many different scenarios and demonstrates what it means to use wisdom as we grow and cultivate a deep relationship with Jesus Christ. When we are diligent in teaching our children the truth, they can hide the Word in their hearts. When situations arise where they may be challenged, they will know what God’s Word says and find solace there. 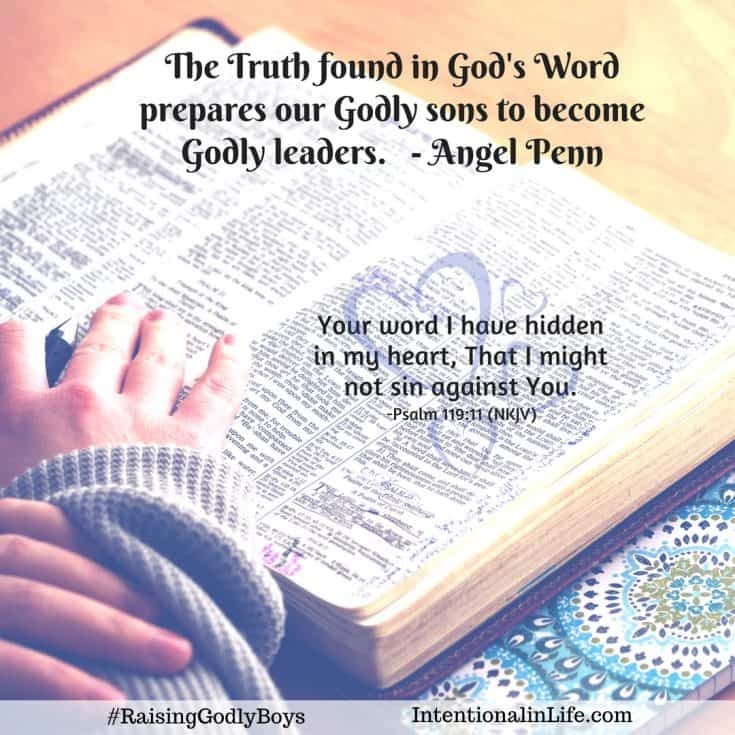 The Truth found in God’s Word prepares our Godly sons to become Godly leaders. There used to be a time when the truth wasn’t questioned. We may have seen differences of opinions presented but the truth was absolute, known and respected. Over the past decade, things have shifted dramatically in our culture. What was once understood as truth is now being questioned. In light of the world we live in now, we have to prepare our children to not be afraid to stand for truth. Standing for a position that may be against societal norms will not be easy. However, as followers of Jesus Christ, Godly sons must understand that this is something that they will face and need to embrace as leaders. When a person leads, it can be expected that there will always be a person (or many) that may not agree with the position that they hold. However, that doesn’t negate the responsibility of one standing for what God’s Word says. Historically, we have seen examples of this in the Bible. There are men who had the courage of their convictions and who have stood up for what they believed made a profound difference. Moses stood against Pharaoh and led the children of Israel out of Egypt (Exodus 14). Elijah stood against the prophets of Baal and won a mighty contest on Mount Carmel (1 Kings 18:20-40). Even when taking a stand for Christ doesn’t “seem” to change anything, it is satisfying just to know that you have resisted the enemy and been true to precepts and principles of God’s Word. What a powerful witness this can be. Leaders stand when it is not easy….even if they are standing alone. As parents, it is imperative that we do our best to model the Word of God for our children. 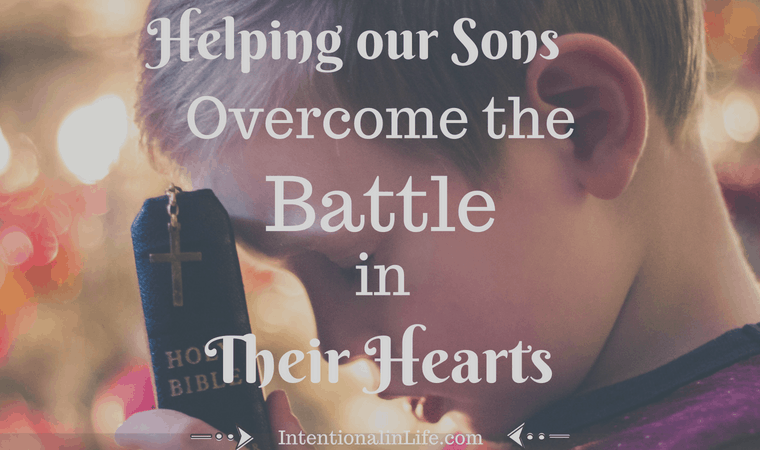 This is one of the most fundamental ways that as we are raising Godly sons, we can see their hearts and character being shaped into the image of Christ. 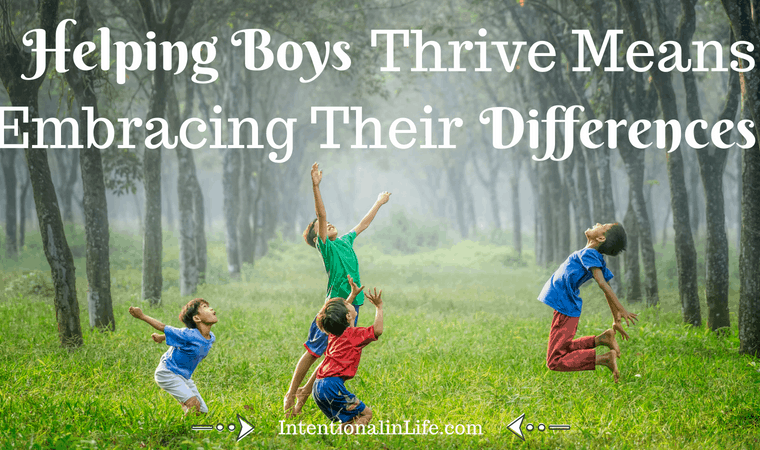 We want to make sure that we are raising Godly sons to be able to live as Godly men, not merely growing up only to become older boys. Walking in the ways of God demonstrates the sacrificial living that we must embrace as we strive to be more like Christ. 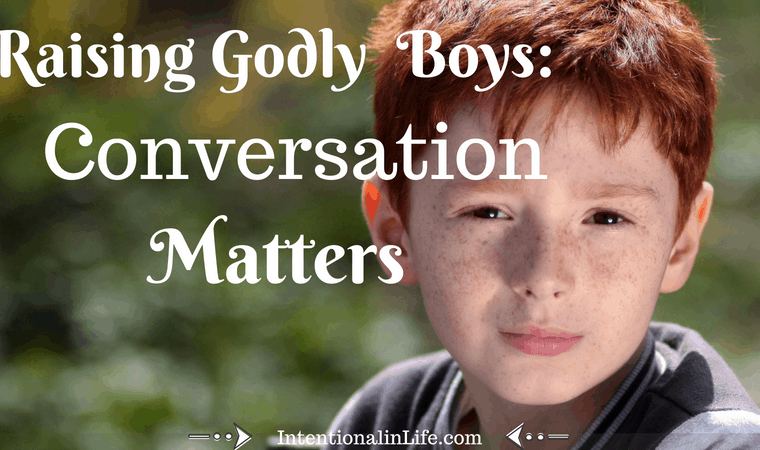 As parents raising Godly boys, it is not enough to rely on “do as I say.” Our children need to see what it means to pursue righteousness in a relationship with God. We can demonstrate to our sons that it is possible for them to walk in their God-given authority. 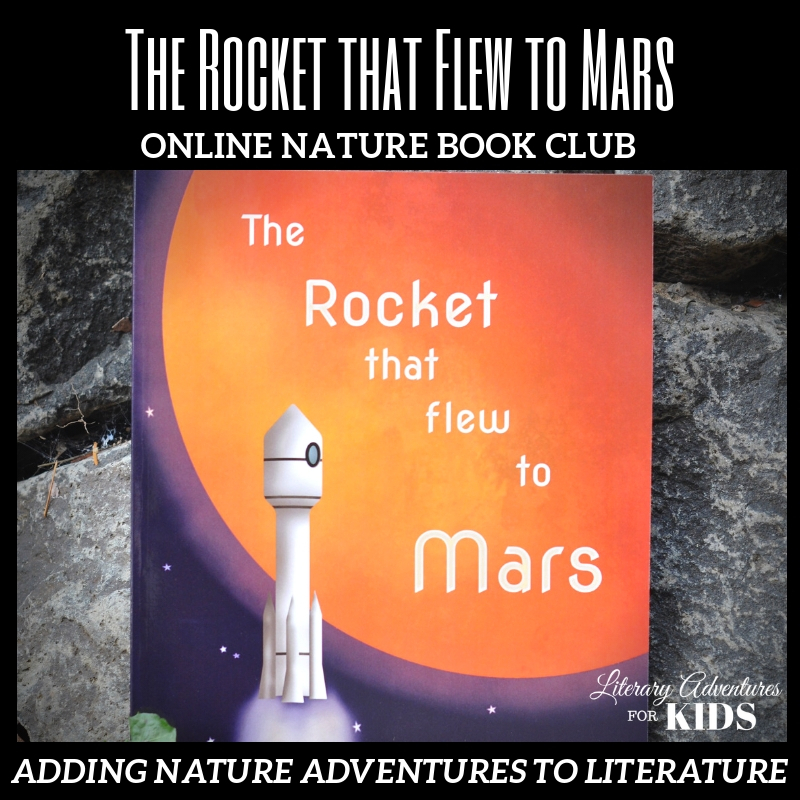 The world threatens to distract our children with things that don’t have eternal value. God promises to show our sons His purposes for his life and empower him to fulfill them. We must show them how to read, study and live the Word of God in their lives so that they can walk this out. Godly sons can lead others by walking closely with Christ. Show Godly Sons how to Prioritize Marriage and Family. 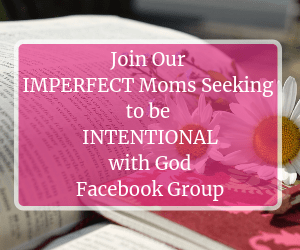 While the world threatens to pressure your son with harrowing images, God promises to shape your son into a gentleman who honors and values women and his family. What does it look like for a man to submit his heart to God and to seek to follow Him daily? What kind of message does that send to his children? How does a man interact with his wife? Do they laugh and enjoy each other’s company? Are they able to navigate disagreements in a way that is not volatile? Children need to see this. They need to see loving examples encouragement, training, and discipleship. Godly sons need to see how to lead their families. It’s a powerful thing for children to see a husband pray for his wife and a wife praying for her husband. Family prayer time can invoke a passion for prayer and reinforce the need to pray about vision, family matters and guidance from the Lord for your lives. This also reinforces the importance of prayer. It’s not something that we do out of a place of desperation, need or fear. As believers, prayer is a part of our lives that we enjoy because it further deepens our relationship with our Heavenly Father. Godly sons become Godly men to lead their families. Raising children is hard work, friend. It really is. I’ve always said that it is a marathon labor of love. But you can do it. Our mud loving, Lego building boys have hearts that are ready and waiting for us to teach them about God. Take his hand and instill in him a love for God that can’t be denied. 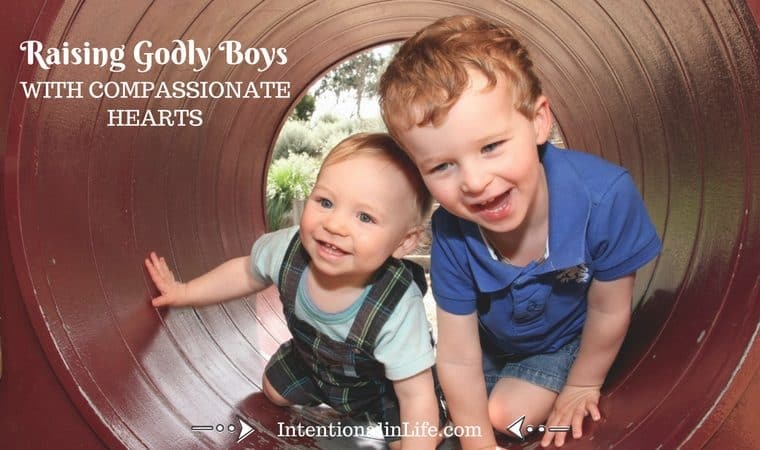 It is the first step in raising our Godly sons into the Godly leaders that God has called them to be. 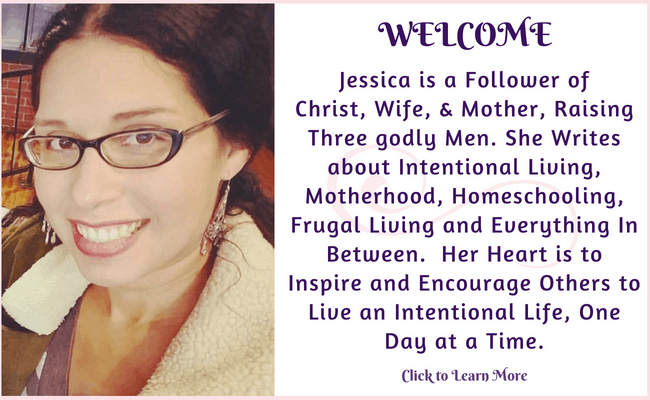 Ashley of Navigating the Years Offers Encouragement to “Do the Hard Parts” of Parenting today on the Raising Godly Girls Event! 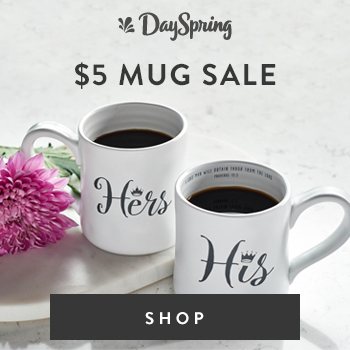 Get the details and encouragement here!